Report at Trivendrum Railway Station. Proceed to Kanyakumari. 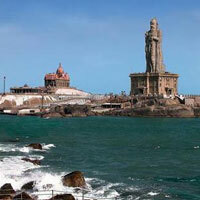 Visit Kanyakumari Temple, Trisamudra Milan, Gandhi Mandapam and Sunset Point. 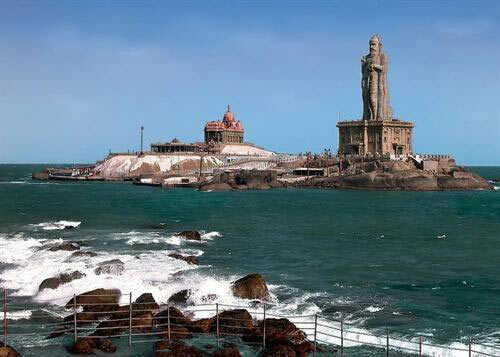 Night stay at Kanyakumari. Visit Swami Vivekanand Rock. Enjoy magnificient sunrise on Kanyakumari shore. Proceed to Kovalam. Enroute visit Velli Lake and Garden. Reach KOvalam in the evening. Night stay at Kovalam. Visit Padmanabh Swami Mandir, Raja Ravi Verma Art Gallery, Napier Museum. Enjoy evening at Kovalam Beach. Night stay at Kovalam. Proceed to Kottayam. Enjoy Backwater ride from Kottayam to Alleppey. Night stay at Kottayam. Proceed to Periyar. Visit Kumily Spice Village. Evening free for shopping and relaxation. Night stay at Periyar. Visit Periyar Wild Life Sanctuary by boat side on Periyar Lake. Proceed to Munnar. Night stay at Munnar. Visit Tea Estate, Eco Point, Eravikulam National Park, Enjoy boating at Muttupetty Dam. Night stay at Munnar. Proceed to Cochin. Evening free for shopping. Night stay at Cochin. Visit St. Francis Church, Jewish Synagogne and Dutch Palace. Tour Concludes.